Campsite International Roche Murat is a campsite with 110 touring pitches. 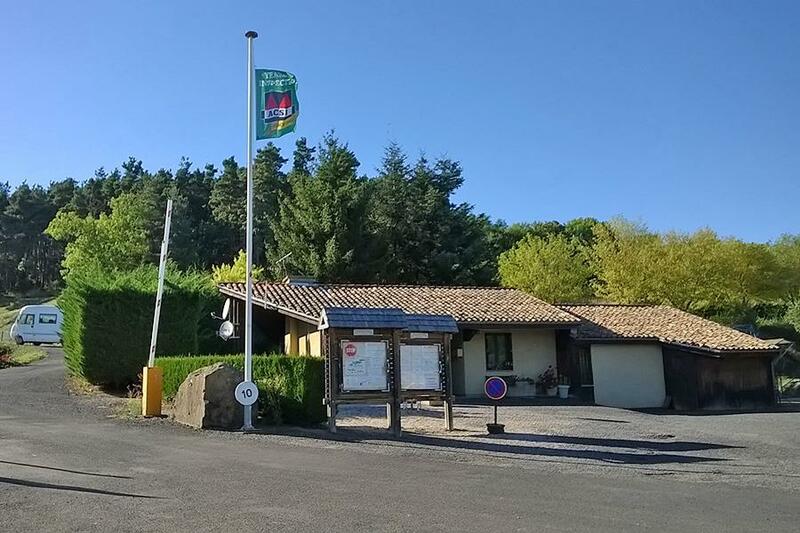 During low season, between 06-04-2019 - 06-07-2019 and 31-08-2019 - 03-11-2019, the nightly rate is €14,- at one of the 110 touring pitches at Campsite International Roche Murat in Saint-Flour (Cantal). At this campsite you can not only use your CampingCard ACSI for inexpensive camping, you can also use your ACSI Club ID (as an alternative ID). Terraced campsite close to entrance and exit of the A75. Excellent stopover campsite. A good base for visiting the historic town of St. Flour. 15% discount for a stay from 7 nights (not in July and August). Lovely stopover site around 30 seconds from the A75. Didn't use the facilities, but the pitches were perfectly adequate with helpful staff. Shops locally in Saint Flour, but only Leader Price was open on Sunday morning. The only saving grace for this site is it's proximity to the motorway. The pitches are uneven and poorly kept and scruffy. The santaires are old and run down and inadequate for the number of pitches. The showers are not warm enough and the cubicles are too small. You have to stand in the shower tray to shut the door! No investment in this site for many years and it shows. Does not merit being in the ACSI guide. Would you like to book Campsite International Roche Murat or request more information? You can do both using the information below or by visiting the campsite's website. The campsite is located on the A75 just north of St. Flour. Take exit 28. Follow the signs at the roundabout. CampingCard ACSI will send your information request to "Campsite International Roche Murat".